The number of patients with retinopathy is on the rise, with the exact cause of the increase unknown, a report showed Thursday. According to a report released by the National Health Insurance Service, the number of patients with retinopathy surged to 860,000 in 2012, jumping 58 percent from 2008. The annual increase was 12.2 percent, the report said. “Retinopathy” refers to all noninflammatory disorders of the retina ― the light-sensitive layer of tissue in the eye. The retina creates an image of the visual world, acting like the film of a camera. When the blood vessels of the retina are changed or damaged they swell or leak fluid, potentially leading to blindness. The exact cause is still unknown. 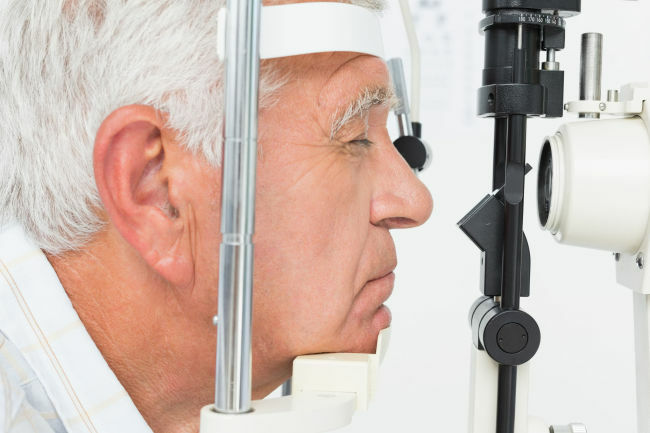 Older people tended to receive more treatment for retina disorders. As of 2012, those in their 60s accounted for the most cases, with 26.5 percent, followed by those in their 70s and 50s, with 22.6 percent and 21.9 percent. Of the total, about 11.6 percent or 99,000 patients received surgery to treat the disease. Of these, 67 percent were found to be over the age of 50. The medical costs for treating the retinal illness annually rose by 14.3 percent on year, reaching 202 billion won ($195 million) in 2012. The surgery cost 1.4 million won per person in 2012, while the related medical costs were 240,000 won on average. The ophthalmologist also stressed the importance of sugar control, as diabetes can cause diabetic retinopathy, the most common diabetic eye disease. “Diabetic retinopathy is one of the most dangerous retinal diseases. Controlling sugar level is critical to deter the development of the disease,” Jung added. Many patients do not immediately seek treatment as symptoms are not noticeable until significant damage occurs or complications develop. While various treatments are offered, such as laser surgery or injections, doctors recommend consulting an expert as treatments vary in effectiveness depending on the type of retinopathy. The most important preventive measure is to go for regular medical check-ups, especially when eyesight deteriorates or abnormal symptoms are seen, doctors said.